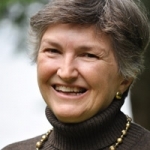 Diane Wiessinger, MS, IBCLC, is a co-author, with Diana West, Linda Smith, and Teresa Pitman, of La Leche League International’s Sweet Sleep Nighttime and Naptime Strategies for the Breastfeeding Family. She is also a co-author, with Diana West and Teresa Pitman, of the 8th edition of LLLl's Womanly Art of Breastfeeding. Other publications include chapters in Genna's Supporting Sucking Skills in Breastfeeding Infants and Smith's The ABC's of Private Practice, and journal articles and essays on latching, lip ties, D-MER, motherhood in other mammals, and breastfeeding language. Diane self-publishes more than 75 breastfeeding handouts for mothers. She has spoken in over 40 states and provinces and in Europe, Asia, and Oceania. Many health care workers advocate a no-bedsharing policy, no exceptions. Others recognize that most breastfeeding mothers will share sleep with their babies at times, safely or unsafely; may even have bedshared themselves; and feel they lack the tools to help prevent unsafe shared sleep. Still others recommend safe bedsharing as the normal and easiest way to meet a baby’s needs and facilitate breastfeeding. The Safe Sleep Seven offers a middle ground: Seven research-supported criteria which, if met, offer a level of bedsharing safety equivalent to crib safety. For those mothers who don’t meet the criteria, it provides a simple way for them to make educated decisions about their family’s nighttime parenting. And it helps every non-bedsharing breastfeeding mother “child-proof” her bed so that it is as safe as possible if there’s a night when she just can’t stay awake to nurse. Babies haven’t changed, but our understanding of how they attach to the breast certainly has. A journey through more than 50 years of “skilled help” with breastfeeding, what we thought we knew, what we think we know, and how we’re circling back to our beginnings and some surprisingly simple conclusions.